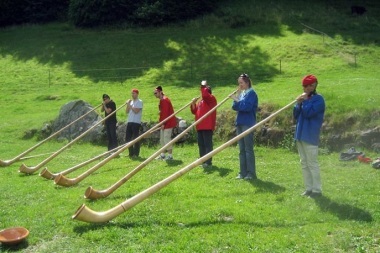 The Alphorn belongs to the brass instruments due to the blowing technique used although it is traditionally made out of wood. It doesn’t have any keys or valves and the sounds produced are, therefore, all entirely natural. Depending on the landscape in which you are playing, it can be heard 5 to 10 km away. 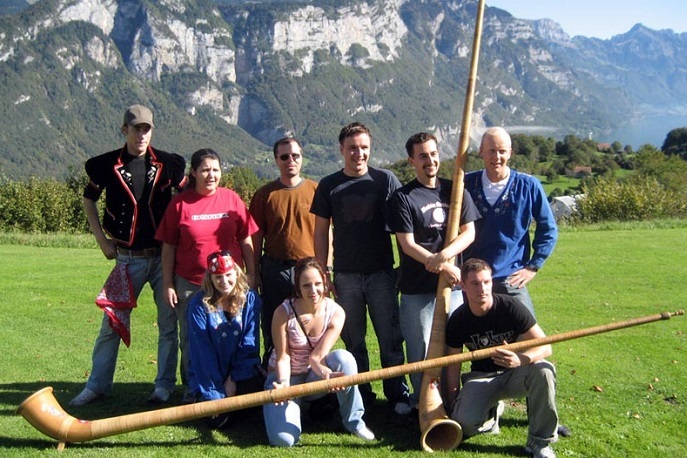 Long wooden trumpets such as the Alphorn can be found in many cultures and countries e.g. in Tibet, the Pyrenees and the Carpathians. In Switzerland, the Alphorn is very popular. This is sure to create a good mood. 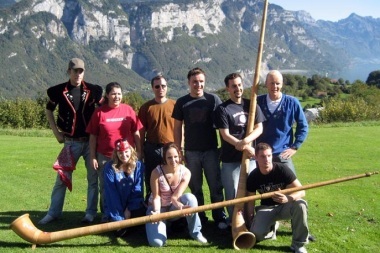 Together with the musicians, you will experience the Alphorn in a different way. 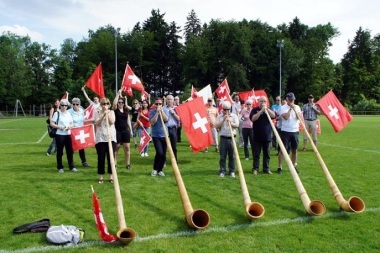 First, the Alphorn duo (with larger groups, a trio) will play a few pieces and then you will try it out yourself. It promises to be great fun! Expert and entertaining guidance and supervision by musicians, all materials. Nothing in particular, good mood! May also be combined with other activities and can be held anywhere.